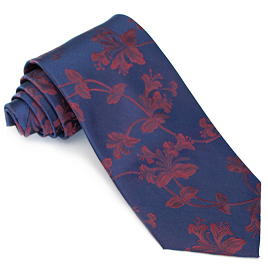 This beautiful tie features a pale blue wood-cut style floral design on a subtle burgundy and golden brown herringbone weave. Iâ€™ve had this tie for a year now, and it has held up perfectly. 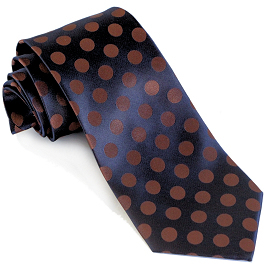 This tie is also a great match with the Light blue time shirt, and the custom teal blue/ rust stripes time suit. 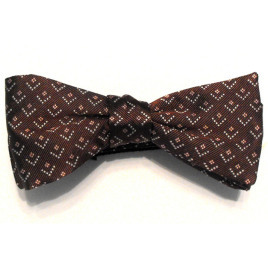 Order with confidence, because this tie is the real deal. Raise no objections, accept no substitutes! For me there isn't much to say about this tie. It's beautiful, it's sturdy, it's silk. and it is brilliantly screen accurate. I love wearing it whenever I get the chance. 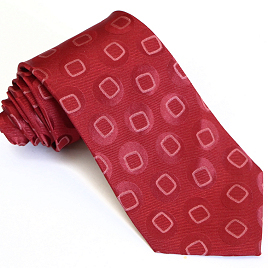 Great quality tie and was shipped well and in a timely fashion. First purchase from Magnoli and was very satisfied. I would highly recommend this, especially if you are trying to make a Tennant costume. 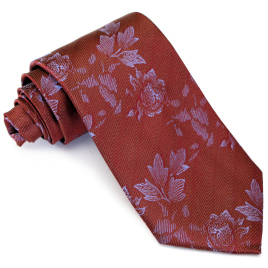 One of the most beautiful ties I now own. 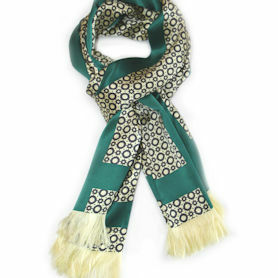 Excellent color and exceptional craftsmanship, there is no flaw in this wonderful wardrobe accessory. 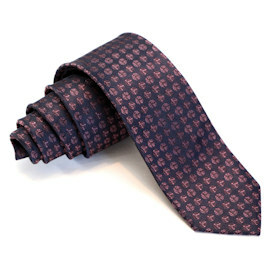 This is simply one of the most beautifully made ties and simple looks amazing. 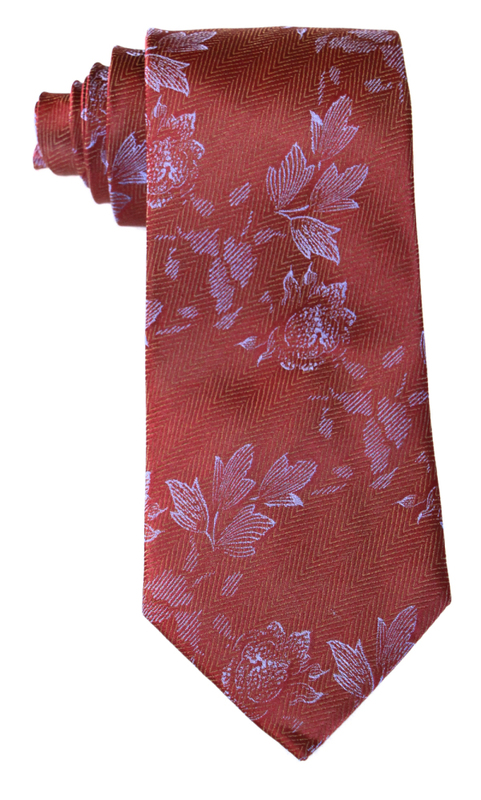 I can say that I would recommend this tie 100% and also the service provided. 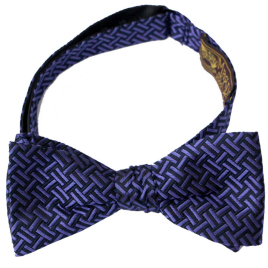 Magnoli\'s outdone himself again, without a single doubt the most beautiful tie I\'ve ever worn. Soon I\'ll have to throw out all my other ties, the Who ties are just so high quality I can\'t imagine wearing anything else!